In January 2016, Twice, a multinational girls pop group of South Korea, was at the center of controversy. Chou Tzu-yu, one of the members from Taiwan appeared on a show holding the Taiwanese official national flag (quite possibly asked to do so by the production team). The clip was uploaded on the Internet and then was bombarded with criticism by Chinese netizens. Some even threatened to boycott or sabotage JYP entertainment, the agency to which Tzu-yu belongs. And China’s Anhui TV station cancelled a Twice concert scheduled for the Chinese New Year holiday. Tzu-yu, a sixteen-year old girl who had just kicked off her entertainment career, had to release a video clip in which she apologized for what had happened. She appeared in a black turtleneck pullover and said that there is only “One China” and she is always proud to be Chinese to appease angry Chinese netizens. Park Jinyoung, the president of JYP, also apologized, even stating that it was all his fault not having taught her properly. The incident indeed was amplified on the political arena. It occurred at election time in Taiwan, as its citizens were about to see their first female president elected. Tsai Ing-wen, a prominent female politician and then president-elect, even addressed the incident in her victory speech, stating that it “has shaken Taiwanese society.” She explained: “this particular incident will serve as a constant reminder to me about the importance of our country’s strength and unity to those outside our borders. This will be one of the most important responsibilities for me as the next president of the Republic of China.”1 From the Chinese side, there was no official statement on this issue by a prominent politician, but the furious reactions were overwhelming online. The Ministry of Foreign Affairs of South Korea stated that they were cautiously paying attention to the development of the incident. Luckily, no serious damage was done between South Korea and China, but the South Korean public was furious with Chinese netizens for making such a big deal out of this. It is understandable from a political point of view why China reacted vehemently, but, to many South Koreans’ eyes, China was demonstrating its impatience for occupying Taiwan and intolerance for symbols in its way. This even raised the possibility of a parallel in PRC thinking about Korean autonomy. The incident highlights an important element in international relations today. Even the entertainment industry cannot completely get away from politics, and vice versa. How people viewed the incident was largely influenced by the country’s overall image and reputation. In this regard, the South Korean public’s response to the Twice matter is worth noting. Online and social media threads of South Koreans took enormous pity on the 16-year-old girl who had to go through all this turmoil. At the same time, they heavily criticized both Chinese and JYP Entertainment for forcing her to apologize for having held the flag, stating that it was a very natural act of hers to do so. Numerous responses on the Internet disclosed anti-Chinese sentiment for brutal and arrogant treatment of this poor Taiwanese girl, which was largely believed to have been driven by the country’s economic success and military might. South Korea does not even have diplomatic relations with Taiwan. China is the country on which its interests are at stake. It is the number one trading partner and a politically critical neighbor, particularly because of the presence of North Korea. After all, it is one of two superpowers in the world. Nonetheless, it was Taiwan that received much more sympathy by the South Korean public. Why has China been failing among South Koreans? South Korea has been an important laboratory of China’s soft power experiment. In November 2004, a Confucius Institute was established in Seoul to export China’s culture. It must have been a smart move to pick South Korea as the first destination, since it is probably the only country in which Confucian culture still has a major place in daily life. Then, how successful has the effort to enhance China’s soft power been among the South Korean public? It is difficult to measure the strength of a country’s soft power, but one basic measure can be a country’s popularity and image. The former simply relates to how much people like the country and the latter to how people view the country. The Asan Institute’s public opinion polls conducted in 2014 reveal more detailed information about how South Koreans feel about China besides its military and economic power. When asked what comes to their mind first when they hear “China,” most South Koreans thought of rapid economic growth and a vast land with a large population (35.1 percent and 32.9 percent, respectively). The third choice is also related to the economy; China being South Korea’s number one trading partner (11.7 percent). Of course, these are neutral and factual responses. Only 7.3 percent of respondents answered a long history and culture as what best represents China. Noteworthy is the relatively high rate among those in their twenties who thought of the socialist political system first (10.6 percent). If Nye’s argument of soft power relates to political values to be respected, China has not won the hearts of South Koreans in this regard. The easiest way to improve the soft power of China should be utilizing its inherited treasures, i.e., its historical and cultural heritage. Regardless of one’s sentiment toward modern China, no one can deny its rich and invaluable cultural, intellectual, and historical inheritance. As aforementioned, the Chinese government has established Confucius Institutes—a Chinese version of he Alliance Francaise and Goethe Institut—as part of the effort to draw attention to this and, by 2014, there were 480 institutes around the world.7 How are the efforts by the Chinese government to spread China’s culture around the world seen by South Koreans? South Koreans do not particularly object to the diffusion of Chinese culture. About 56.2 percent accept Chinese cultural expansion without a problem, while 37.0 percent of them express concern. It is the elderly who are most positive toward the expansion of Chinese culture. About 61 percent of those in their fifties and 60.0 percent in their sixties answered that expansion of Chinese culture is a good thing. The people of the age group most resistant to the Chinese cultural wave are in their forties (43.6 percent negative). It is quite an interesting finding, since this age group is known to be friendliest toward China and sometimes ready to cooperate with China at the expense of the United States, if seen as necessary. The results are, however, comparable to the way that South Korans see the diffusion of American culture. When the same question was asked about American culture, 69.8 percent of respondents answered that they welcome the diffusion of American culture and about 25.1 percent of them negatively responded. Interestingly, sharp differences across age groups are observed. The younger generation, in particular those who are in their twenties, is most welcoming to American culture. As high as 78.4 percent of those in their twenties approve of the country’s cultural diffusion, which is the highest among all age groups. It is followed by the elderly, those in their sixties or older, at 78.2 percent approval—understandable given their overall strong affection toward the United States. Youth fondness for American culture produces the largest difference between attachment to American and Chinese culture—21 percent. If China plans to increase its soft power and top US soft power over the long term, the fact that the future generation is least receptive poses a serious hurdle for it to overcome. Those who are in their forties are least attracted to Chinese culture and to American culture as well. Only 58 percent welcome American cultural diffusion. Once called the “386 generation,” they are most resistant to a superpower’s influence regardless of the country of origin. Their experience during the democratization period possibly generated resistance to any external influence even if it is a cultural one. This is the age group that usually demonstrates a warmer sentiment toward China even over the United States. Perhaps, they see China as an economic or political partner rather than a trustworthy replacement of the United States. The fact that South Koreans are less welcoming to Chinese culture than American culture is intriguing. China has thousands years of history and culture and is recognized as a cradle of ancient civilization. The United States, with less than 300 years of history, is almost an infant compared to China with respect to cultural depth. Furthermore, American culture is sometimes criticized as too commercial or materialistic. Nonetheless, it is American culture that South Koreans find more welcoming, which implies that cultural power is not defined only by the culture itself. There is a much more complex set of factors shaping cultural attractiveness. Another question relating to Chinese soft power is how people think about Chinese products. Known for their low prices, Chinese products practically dominate the global market, including that of South Korea. As most rapidly growing economies do, Chinese companies have been relying on low-priced products at the expense of quality. Consequently, they do not yet have a good reputation for quality. Chinese companies have recently tried to enhance quality through technological innovations so as to improve China’s reputation as a manufacturer. However, the image of Chinese products remains unchanged among South Koreans. About 61.5 percent of respondents answered that it makes them not want to buy the product once they discover it is made in China. The proportion of those who state that it does not matter was 36.3 percent and 1.3 percent. These respondents answered that this information makes them want to buy more. The reputation of Chinese food products was even worse. Around 80.6 percent of South Koreans said that they did not want to buy them. Scandalous news a few years ago about Chinese food fraud including tofu and infant formula, which eventually killed babies, is still stigmatizing Chinese food products. Although China has conquered the global market with its comparative advantage through cheap labor and cheap prices, it has not generated a favorable reputation for its products yet. As Nye emphasizes, political values are an important element that determines a country’s soft power. South Korea went through democratization in the 1980s and is practically at war with North Korea, where the world’s most gruesome violations of human rights occur. The country, therefore, is keen on the subject of “liberal democracy.” Although China has opened itself to a market economy and capitalism, its political system still is authoritarian and communist, under which one party runs the country. Freedom House ratings indicate that China is not a free country for its freedom of press and civil rights are suppressed. The human rights situation within China is not something that China would like to put on the table. No matter how close economic ties are between South Korea and China, distance and dissimilarity in political system and the degree of openness of societies cannot be excluded as a factor in the relationship. For example, not being able to use Facebook or Google in China is probably something that makes South Koreans realize that the two countries are not politically in the same league. Indeed, more than a majority of South Koreans are doubtful that China would turn into liberal democracy as shown by 51.2 percent of respondents who answered that China would not adopt liberal democracy as a political system. Those who think that China will turn into a democracy some day do not see it happening in the near future. Cultural and emotional closeness between two countries is not what is usually assumed. When asked if a respondent thinks that Korea and China share a similar value system, only 32.5 percent of respondents answered yes, while 64.4 percent answered “no.” This conflicts with the conventional wisdom that Korean cultural heritage largely draws from China, in particular Confucianism, and thus these two countries are inseparable in terms of history, culture, and values. Again, it was South Korean youth who most decidedly thought that Chinese and Korean value systems are not in conformity. Around 70 percent of those in their twenties indicated this and only 28.8 percent thought the opposite. Of course, the older generation is more likely to think the two countries’ value systems are similar—41.2 percent of those in their sixties or over answered that China and Korea share similar values, while slightly more than a majority (50.1 percent) dissented. The Chinese government may have thought that Korean Confucian heritage demonstrates that people share a similar value system. Although Koreans are conscious of Confucianism still alive in Korean daily life, most South Koreans do not think these two countries’ value systems are close. For hundreds of years, China has been a formidable neighbor of ancient Korean kingdoms, who sometimes even invaded the peninsula. Regardless, ancient Korean elites admired Chinese culture and literacy, and wanted to emulate this big brother. Seongri-hak, which is rooted in Confucianism, was the philosophy embraced by the last kingdom of Korea, the Yi dynasty, and it remains, to some degree, embedded in the Korean society as tradition. That is probably why people easily presume that South Korea and China have a lot in common, including social values. Nonetheless, only a third of South Koreans felt that Korea and China share common values. They tend to perceive China as a more modern country, distinct from pre-modern China and no longer sustained by Confucianism. They consider China a communist country and a place enormously transformed after the Cultural Revolution. Although the Chinese government claims to revive the cultural heritage and transmit it by establishing Confucius Institutes around the world, somehow South Koreans are having a hard time identifying images of the past with the China of today. After all, China eradicated its roots for ideological reasons. Furthermore, not every South Korean has positive sentiments toward Confucianism. For the younger generation, in particular, Confucianism is a stubborn, conservative, irrational, and coercive philosophy, which sometimes hinders individual freedom and even human rights. In an extreme case, Confucianism is considered to be at odds with liberal democracy, which emphasizes individual rights and freedom. Promotion of Confucianism by China, the country run by a communist party, does not result in an ideal outcome. This is also associated with the South Korean youth’s resistance to Chinese cultural diffusion. Second, enhanced national pride and confidence by South Koreans contribute to the attitudes that separate Korean and Chinese values. This is particularly so among those who are in their twenties and thirties, the generations that are relatively less favorable toward China than the elderly. It is written in history textbooks that ancient Korea was enormously influenced and practically ruled by China, during the Yi dynasty in particular. They teach South Koreans that the country was invaded by China repeatedly and had to pay respect as a little brother by sending dowries and women, which is not necessarily a proud memory. South Korean youth, although they are caught in their own difficulties within society, are probably experiencing the richest, the most prosperous, and the most globalized Korea in history. China is the number two economic superpower and South Korea’s number one trading partner with the largest population in the world. It is increasingly making its presence felt in the region. But, South Korean youth refuse to bring the past back by connecting current China with pre-modern China. History is not something that they would like to see repeated. This means that relations between China and South Korea are treated as new. Chinese Leadership – Does Soft Power Matter? A primary reason for China to work hard to increase its soft power and win people’s hearts around the world is to compete as a superpower for regional and global leadership. Although China asserts that the country is not in a position to compete with the United States over global leadership, it, at least, is attempting to gain leadership in the Northeast Asian region, where its stake is greatest. Figure 3 explores South Koreans’ opinion regarding Chinese leadership in Asia. As the graph indicates, 35.9 percent of South Koreans positively viewed Chinese leadership in Asia, while 55.4 percent did not. The difference in opinion is quite dramatic across age groups. Apparently, youth are most resistant to Chinese leadership in Asia. 63.2 percent of those in their twenties and 66.4 percent of those in their thirties opposed the leadership wielded by China in the region. Only 31.3 percent and 30.2 percent of the respective age groups supported it. On the contrary, 45.4 percent of those in their sixties or over had no problem with China being a leader in the region. Overall, however, Chinese leadership in Asia is not yet strongly approved among the South Korean public. The fundamental question here is how much does the soft power of China matter for its global leadership. Although it is hard to accurately quantify, I formulated a crosstab to see if there is any relationship between perceived soft power and opinions about Chinese leadership in the region. 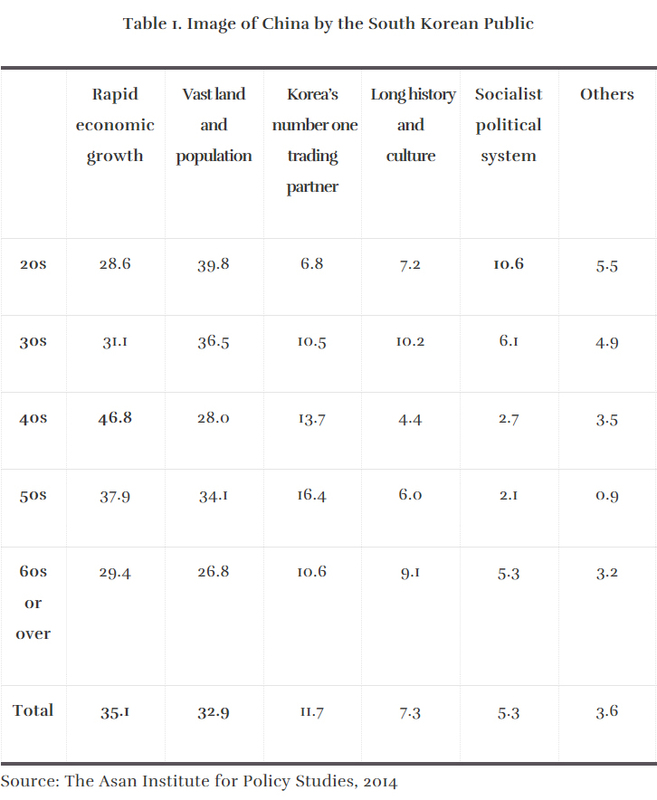 Table 4 indicates South Korean opinions on Chinese leadership in Asia by perceptions of Chinese culture, products, values, and political system. First, perception of Chinese cultural diffusion appears to be related to perception of Chinese leadership in Asia. For instance, 80.4 percent of those who negatively consider Chinese cultural expansion oppose Chinese leadership in Asia as well. In contrast, 56.5 percent of respondents who thought positively of Chinese cultural diffusion see its leadership in Asia positively as well. Similarly, opinions of Chinese products are related to attitudes toward Chinese leadership. Chinese products are dominant in the world as well as in the South Korean market. Nonetheless, the trust level is not necessarily high, and this is associated with the attitude toward Chinese leadership. Those who refused to buy Chinese products are likely to see Chinese leadership in a negative way. Views of the political system of China also seem to matter. In fact, not many South Koreans believed that China would embrace democracy. Opinions are almost evenly split. About 51.2 percent of respondents did not think that China would turn into a democratic country, while 43.7 percent did. A relatively high proportion of people who did not believe China would be a democracy also showed a disapproving attitude toward Chinese leadership in Asia (64.9 percent). Last, those who think that China and Korea share the same values show more support for the Chinese leadership than those who do not. About 67.3 percent of respondents who thought Korea and China do not share similar values answered that they are not very happy with the Chinese leadership. As people agree that China and Korea share similar values, they are more likely to extend support for leadership by China. In sum, there were significant differences in attitudes toward Chinese leadership depending on how South Koreans perceive and evaluate China’s culture, political system, and values. Table 5 presents a simple t-test to demonstrate if there exist statistically significant differences in respondents’ opinions about the leadership held by China in the region. The approval score for Chinese leadership in Asia was measured on a zero to three scale, in which 0 means that a respondent disapproves the leadership of China very much and 3 that one approves it very much. As the results demonstrate, those who disapprove of Chinese cultural diffusion have a much lower score of 1.05 for Chinese leadership than those who approve it (1.57), a difference that is statistically significant. When it comes to the evaluation of China’s political future, those who do not believe in its transformation into a liberal democracy are significantly more likely than those who do to oppose Chinese leadership. And, whether or not Korea and China share the same value system also significantly matters in whether a respondent approves or disapproves of Chinese leadership. Those who less appreciate Chinese culture, political system, and values have a less favorable view of China wielding leadership in the region. Leaders are supposed to have the ability to make others respect and follow them. Sometimes they may use hard power, but at other times soft power should balance it out or serve in its stead. If China’s ultimate goal is to become a global leader, not just a superpower, China clearly is lacking some elements. Most South Koreans think that China will be the number one economic superpower in the near future. Soon this country will acquire political superpower status too, quite a number of South Koreans believe. Although they recognize China’s rise to superpower status, they do not appear to be ready to accept the country as a leader in the region. China is unambiguously a superpower, but not seen as a leader. Simply, it is not attractive enough for South Koreans to emulate or imitate. It is not yet a role model country for South Korea in many respects. South Korea and China have enjoyed rather good relations since President Park and President Xi’s inaugurations. The favorability scores for China and Xi Jinping were second only behind the United States and President Obama. When South Koreans are asked which country should be more important for South Korea in the future, public opinion strongly favors the United States, but 30 percent of South Koreans still pick China over the United States. This is not a trivial number. Due to much closer relations between South Korea and China, rumors in DC and Tokyo found fault with South Korea having already been drawn into the Chinese orbit. This analysis succinctly demonstrates, however, that even after relentless efforts to establish strong ties by the two heads of state, Chinese failed to win the majority of South Korean hearts, in particular those of South Korean youths, who do not feel close to China or Chinese culture. In some opinion surveys, the feelings toward the Chinese people among this age cohort are even lower than toward their historical enemy, the Japanese people. Of course, South Koreans well recognize China’s military and economic rise. Its economic success opened up a huge market with ample opportunities, and most South Koreans find it overwhelming. Nonetheless, China apparently has not earned much respect as a trustworthy and reliable partner. Reasons for the vulnerable partnership can be attributed to how South Koreans perceive and appreciate China. Most people perceive this remarkably growing country as a practical economic partner not as a trustworthy political partner. China’s relationship with North Korea plays an important role. Numerous South Koreans still believe that China will not entirely be on South Korea’s side when friction between the two Koreas occurs. Also, the image of China is not yet positively developed in South Korea. Despite its long history, rich culture and the Confucian connection between China and Korea, South Koreans felt that the two countries do not share common values. In fact, Chinese soft power has not kept up with its hard power to win South Korean people’s hearts, which will be an impediment for them to acknowledge China as a leader in the region. China has been attempting to link its dazzling past to its current state of soft power. Nonetheless, as shown in this article, a rich, cultural tradition and long history are not sufficient to generate magnetic soft power. Rather, current political and cultural values are more likely to determine a country’s soft power. This is observed in the case of comparisons between China and the United States. What is hard to overcome for China are its domestic political system and social norms generated thereby. To many South Koreans, China is still a communist country, North Korea’s friend, and a state with many problems in human rights and often unbearably arrogant. Attributes of the pre-modern past are not integrated into modern China in a manner attractive to South Koreans, which diminishes the value of Chinese tradition. Surely, soft power alone cannot be the ultimate measure of a country’s level of global influence. Hard power comes first for a world superpower. China increasingly can compete with the United States in terms of its military might and economic influence. Being a global leader, however, is a different story. That takes more serious responsibility and the consent of neighboring countries, which is hard to get solely with hard power. Is China the country that many other countries would like to emulate, follow, and respect? Is Chinese culture attractive enough to conceal its weaknesses? Are the Chinese political system and social values respected around the world and widely transmitted? China has not earned South Koreans’ full respect. Politically, China is not a trustworthy partner for South Korea, and no matter how great its hard power, unless there is dramatic change in its political system and society, China will have a hard time being acknowledged as a leader in the region by the South Korean public. 1. Katie Hunt and Kristie Lou Stout, “Taiwan elects its first female president; China warns of ‘grave challenges’,” CNN, January 17, 2016, http://edition.cnn.com/2016/01/16/asia/taiwan-election/. 2. Joseph S. Nye, Jr., Soft Power: The Means to Success in World Politics (New York: Public Affairs, 2005). 3. Anthony Funnell, “China pushes to expand its soft power through cultural exports,“ ABC Radio Network, May 6, 2015, http://www.abc.net.au/radionational/programs/futuretense/soft-power-with-chinese-characteristics/6446990. 4. “The Soft Power 30,” http://softpower30.portland-communications.com/ranking. 5. David Shambaugh, “China’s Soft-Power Push: the Search for Respect,” Foreign Affairs, (July/August 2015). 6. Pew Research Center, “Global Opposition to US Surveillance and Drones, but Limited Harm to America’s Image,” July 2014, http://www.pewglobal.org/2014/07/14/chapter-2-chinas-image/. 7. “Confucius Institutes Around the Globe,” Confucius Institute, http://confuciusinstitute.unl.edu/institutes.shtml.